Storms that rolled through the area early Thursday afternoon caused some damage in Salina, including significant damage at a mobile home park. The storms rolled through during the noon hour, and did prompt warnings for several areas. As the storms rolled through Salina they did not cause widespread damage. There was significant damage, though, to a small area of West Salina, south of the Indian Village area. A mobile home park located along West Cloud Street sustained damage. Multiple large limbs were knocked down, and a large tree was knocked onto one of the homes. There was also roof damage reported in the area. 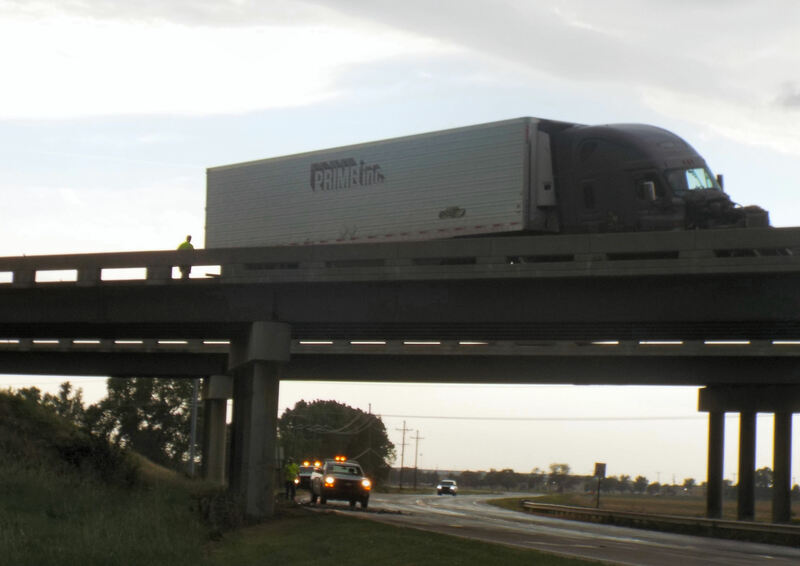 A semi in the area, headed north on Interstate 135, was blown into a bridge guardrail over Centennial Road. The bridge was damaged, with concrete debris falling onto the road below. Storms rolling through the area have caused damage in Central Salina. A tree has fallen on a mobile home.Also, a semi has crashed into a guard rail on Interstate 135 on the Centennial Road bridge. No injuries to report.